Sometimes dentists extract teeth to prepare the mouth for orthodontia. The goal of orthodontia is to properly align the teeth, which may not be possible if your teeth are too big for your mouth. Likewise, if a tooth cannot break through the gum (erupt) because there is not room in the mouth for it, your dentist may recommend pulling it. If tooth decay or damage extends to the pulp — the center of the tooth containing nerves and blood vessels — bacteria in the mouth can enter the pulp, leading to infection. 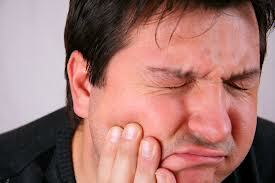 Often this can be corrected with root canal therapy (RCT). Yet if the infection is so severe that antibiotics or RCT do not cure it, extraction may be needed to prevent the spread of infection. If your immune system is compromised (for example, if you are receiving chemotherapy or are having an organ transplant) even the risk of infection in a particular tooth may be reason enough to extract the tooth. At Drs. Michels & Gauquie, we are very skilled at saving teeth. Yet, if a tooth proves to be nonrestorable, it is likely you won’t have to be referred to a specialist to have it removed. Our doctors are very competent in dental surgical procedures, and we make every effort to complete your procedures comfortably right here in our dental office.